"This is a fresh air car!" exclaims John proudly. 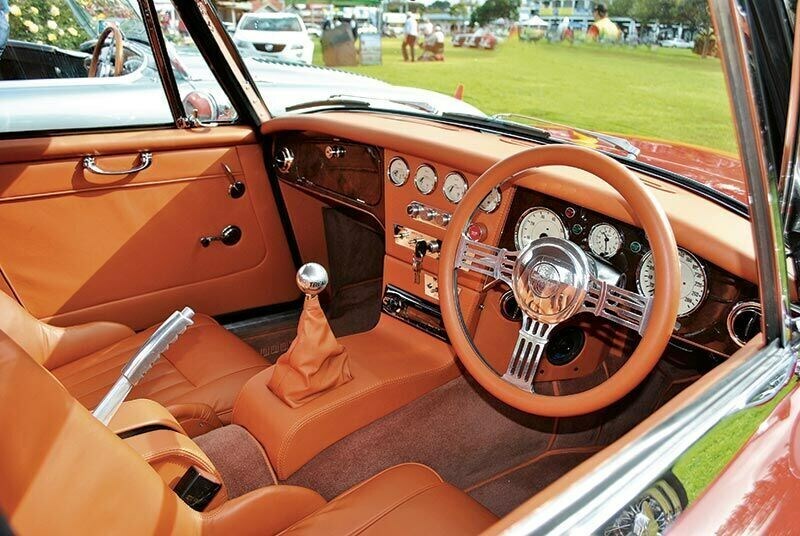 "There are only a handful of parts that will interchange with a standard Healey!" It's a bold claim, but the more we looked at John Strick's bonkers BJ8, the more we understood. 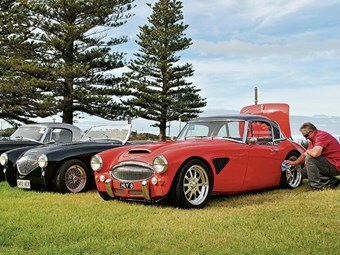 A bespoke chassis was created by Kilmartin Automotive Sheetmetal in Ballarat, for whom John works part time. "It was plotted first using AutoCAD," he explains, "With modifications for the coil-over suspension and a five link rear that includes a Strange 9in differential with Eaton TrueTrac internals." 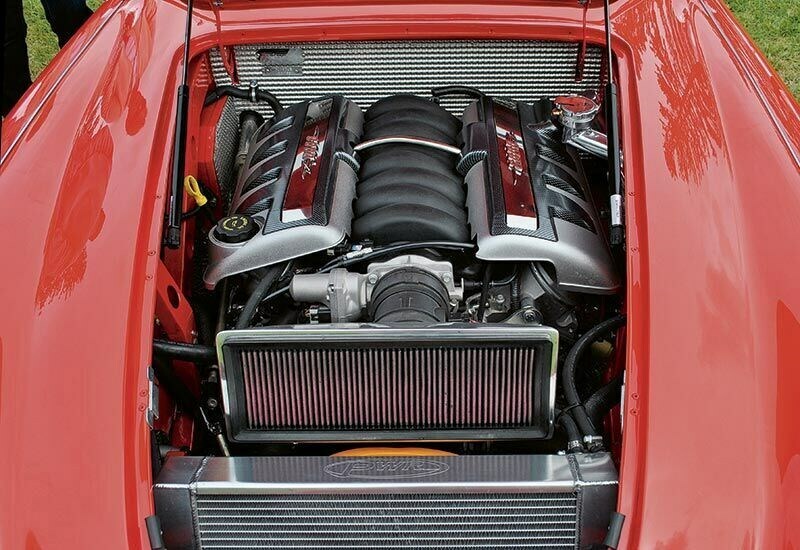 If this all sounds a bit 'Street Machine'y, that's because it is; stashed under the aluminium bonnet of John's beautiful roadster is a GM LS2 crate motor, displacing 6.0 litres, thumping out around 500 horsepower and backed by a trusty (but new) Tremec T56 six-speed manual. John's Healey rolls on a set of custom-made billet Dragway alloys, designed in a simplified Halibrand-style, built specifically for this car. Measuring 8in on the front and a full 9in wide down the back, they help keep the car on track, despite its crazy power-to-weight ratio. 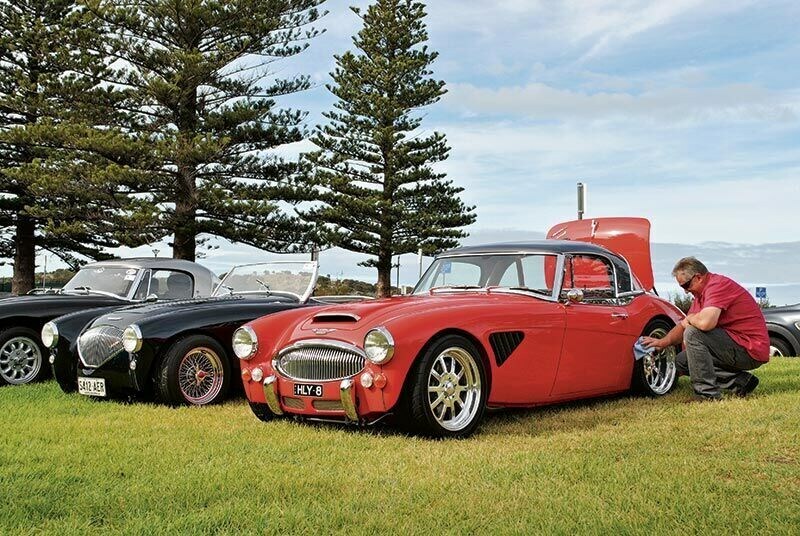 The Kilmartin brothers produce chassis, panels and other Healey replacement parts for enthusiasts across the world, but we're fairly certain their most insane creation resides right here in Australia!